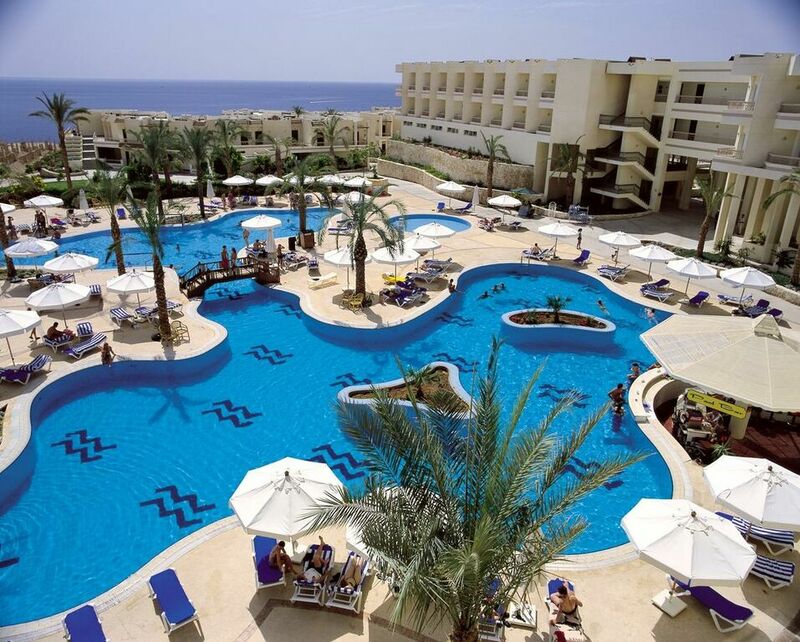 The Hilton Shark's Bay Resort lies beside the beach in the Ras Nusrany area of Sharm el Sheikh. It is a well-designed hotel with plenty of amenities for all ages. The focal point is the free-form swimming pool, complete with mini-islands, and the surrounding sun terrace.